Monash is Australia’s largest university. A member of Australia’s prestigious Group of Eight universities, Monash has more staff, more students, more courses and more campuses around the globe than any other Australian university. In under 60 years, we’ve grown from a single campus into an education and research powerhouse with a presence on four continents, committed to solving the challenges of the age. Our work is making an impact all over the world, from bringing clean water in informal settlements to creating new, life-saving medicines. Monash has four Melbourne-based campuses, specialised teaching locations in Melbourne’s CBD, as well as international campuses and study centres. Each Monash campus has its own personality, and all are friendly, respectful and welcoming communities where you’ll feel at home. 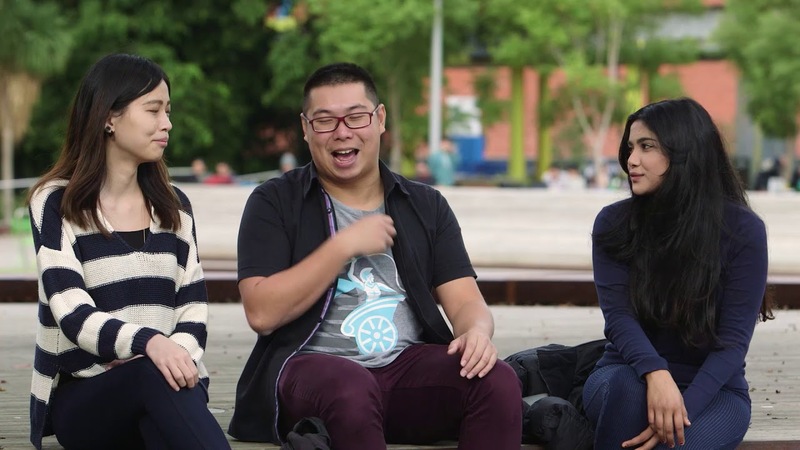 At Monash, university life continues beyond the classroom. Our on-campus accommodation offers students a great social scene, comfortable amenities and a safe environment. Every campus has access to a variety of food outlets, study spots and plenty of green spaces to relax and connect. Whether it’s career development, access to health care or even learning how to begin an essay, we provide students with a range of services and support. You can join a huge range of clubs, make new friends and share experiences that you'll treasure throughout your life. Monash students have access to high-quality yet affordable gym and fitness services as well as plenty of free-play areas where you can have a kick of the ball, shoot hoops with friends, or just work out on the outdoor equipment in your spare time. The Monash MPavilion is an event hub and community meeting place that celebrates design, creativity and innovation. Created with the aim of making the performing arts accessible to Melbourne’s diverse communities, MLIVE is a year-round program of events spanning a range of genres including theatre, jazz, classical music, dance, musicals and children’s theatre. Even before we became the global university we are today, our researchers looked beyond traditional boundaries, discovering ways of approaching the fields in which they worked. It’s why a Monash education is so respected around the world. Every project we support is driven by a desire to make a difference. From designing inhaled Oxytocin, a vital drug to reduce the risk of postpartum haemorrhage now accessible to women in developing countries to tackling global energy challenges, Monash research is making a positive impact in local communities and around the world. Follow our documentary series ‘A Different Lens’ to hear Monash academics share their insights into the magnitude and complexity of the themes and challenges that will shape our future.